You may get one or two wedding ideas from these Blogs! As the title suggest, this blog is a little different! Something you may not know about me is that I am interested in both photography and movie making ( shooting, editing, etc) but only on an amateur level. I taught it would be interesting to make some short 3 or 4-minute videos on working as a magician. The focus would be mostly on the interesting venues I travel to along with a little magic trick in between. I did underestimate the work involved so I have only got two to date, (over a 3 week period). The first video highlights a standard day in a life of an entertainer. Most people think I show up to a gig for an hour or two and back home again to enjoy the rest of whatever it is magicians do! shuffle cards, watch Netflix and drink beer! I wish, actually a typical Saturday sees me get ready for work before lunch and with (usually) multiple gigs on, get back home again before midnight. Most of the time is not spent performing but travelling and prepping for the next show. I do like to be extra early to each function as this leaves time for a ritual cuppa along with chats to the managers of the establishment involved. 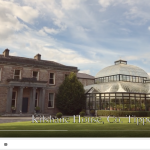 The second video revolves around a venue in Tipperary. 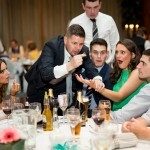 Kilshane House is a beautiful manor house that might give some people wedding ideas. 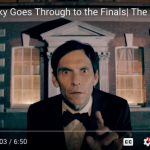 It wasn’t my first time here, back in 2012 I shot a video for Vodafone highlighting the importance of mobile technology for small businesses. So between the two videos you get an idea of what I do and what I am all about and you might just get some wedding entertainment ideas for your big day. Now back to the title question. Do I or do I not keep vlogging? On one hand is great for expanding and practising my video making skills but on the other its a lot of effort! and I mean a lot. I am still undecided so I’ll post up whenever I feel I should. Attached are the two videos, if you would like to leave a comment, then please do! I know both videos are about wedding entertainment but if I keep it up then I should have lots to post about, corporate, private parties, Christmas parties, and so on.